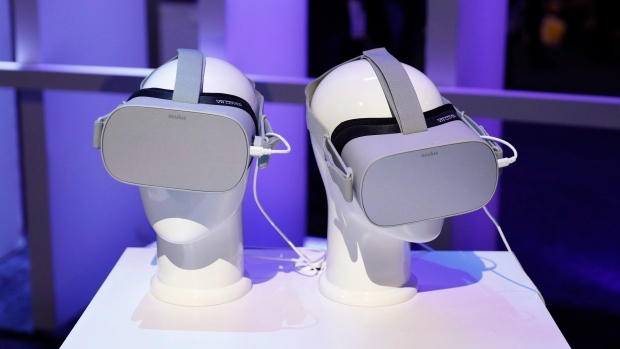 Facebook Inc.’s (FB.O) Oculus division on Wednesday unveiled a new version of the Rift virtual-reality headset, the Rift S, adding a higher-resolution display and a new design. The new model, which goes on sale for US$399 sometime in the spring, plays the same games as the original Rift, but adds embedded sensors instead of external cameras for tracking. The previous model, which sold for as little as US$349, required an array of external sensors for the headset to understand the user’s environment. The Rift S requires a PC connection to power its higher-resolution graphics, unlike the less-powerful wireless Oculus Quest, which is also going on sale this spring at US$399. The Rift S includes new controllers, similar to those that come with the Quest. Oculus said the Rift S was co-designed by Lenovo Group Ltd., which has sold its own VR headsets in the past. Facebook sees VR, a technology that immerses users in a digital environment, as the next big step in communication. The social-media company anticipates that people will use VR to do more than play games -- it has created virtual spaces for users to hang out and watch movies together, for example. Facebook acquired Oculus VR, a headset maker, in 2014.